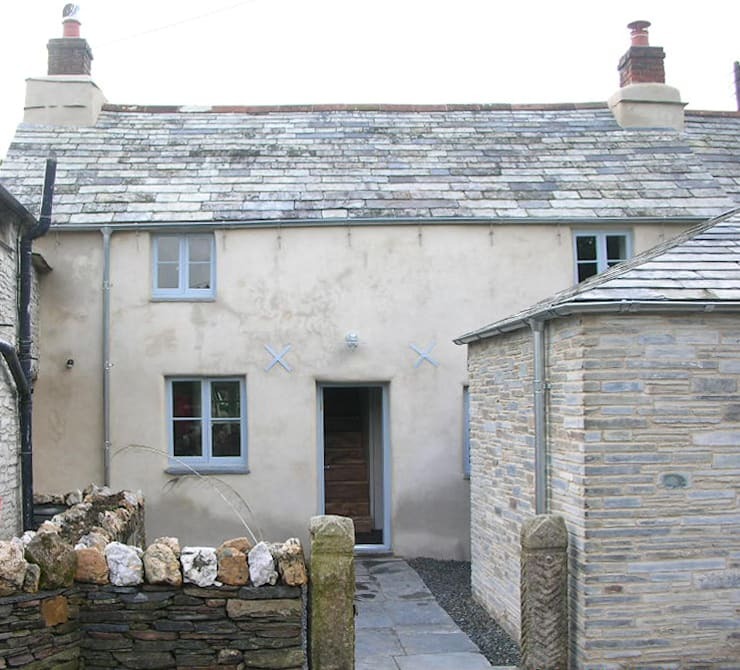 Showing signs of it's age, and it's rich history, the exterior of the cottage is endearing and intriguing despite the obvious wear and tear. The character of architecture such as this strengthens and becomes more distinctive over time. 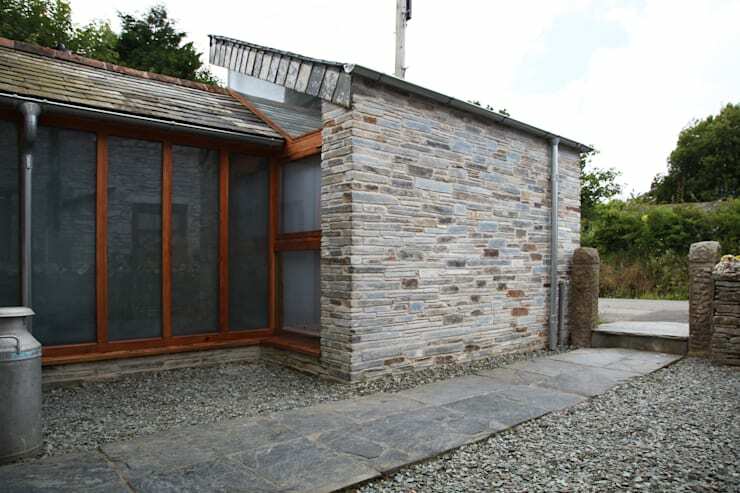 The traditional extension displays the same tones and textures as can be found in the roof. Greys and browns blend seamlessly with the original building, and with the natural surrounds. The front garden is smart, and helps to create a positive first impression as guests walk up to the front entrance. Not only that, but the pebbles and slate used here require next to no maintenance, so the focus can remain on the interior. 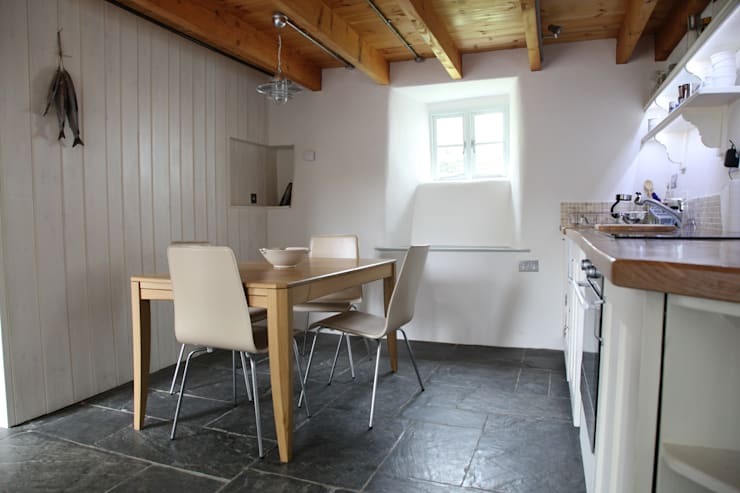 Small but perfectly formed, the kitchen and combined dining area is a cosy, yet fresh and bright, space for cooking and socialising. The wooden ceiling brings warmth to the interior, which is balanced out by the white walls, and by the wooden panels that line the wall to the left. The slate floor, in combination with the timber features, keeps this room in touch with nature. The natural theme continues throughout the home, with slatted timber panels covering a number of interior walls. 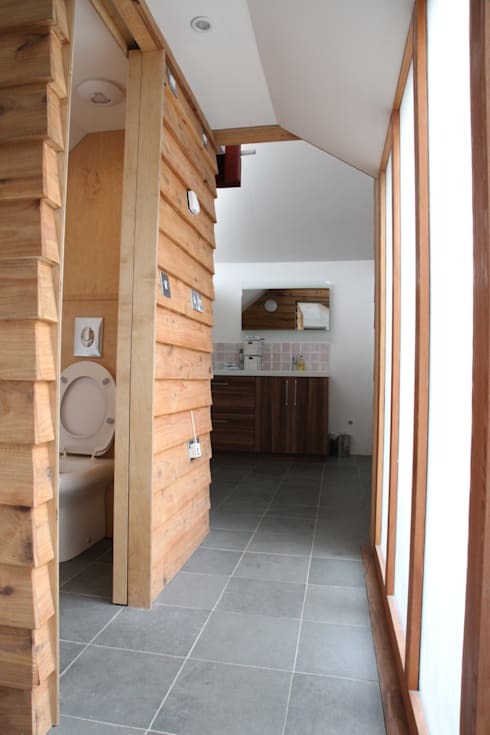 Here you can see the bathroom with separate toilet, hidden behind the sliding wooden doors. Thanks to these doors, it has been possible to insert floor to ceiling frosted glass panels to maximise light. 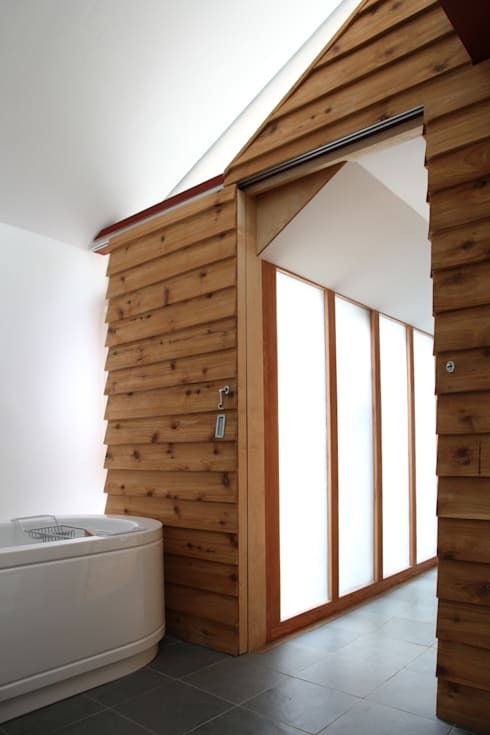 Privacy isn't compromised, and the bathroom feels bright and airy, particularly so for a cottage. From this angle, we can see the large bath tub, tucked away behind another wooden panelled wall. We can get a greater impression of the size and layout of the generously proportioned bathroom, which seems to comprise of three different sections whilst retaining an open feel. The white walls, as seen in the dining area, work to the same effect here, giving the room a Scandinavian spa feel.